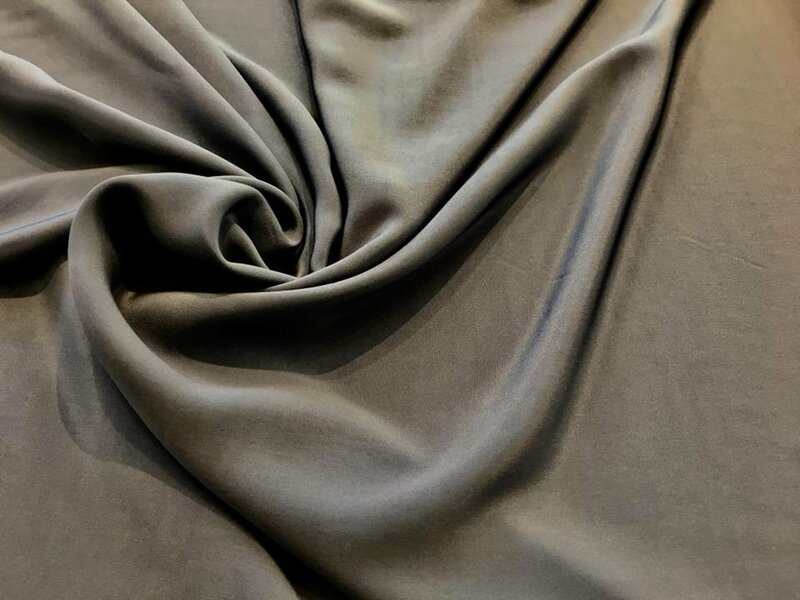 Charmeuse (French: [ʃaʁmøːz]) is a lightweight fabric woven with a satin weave, in which the warp threads cross over three or more of the backing (weft) threads. 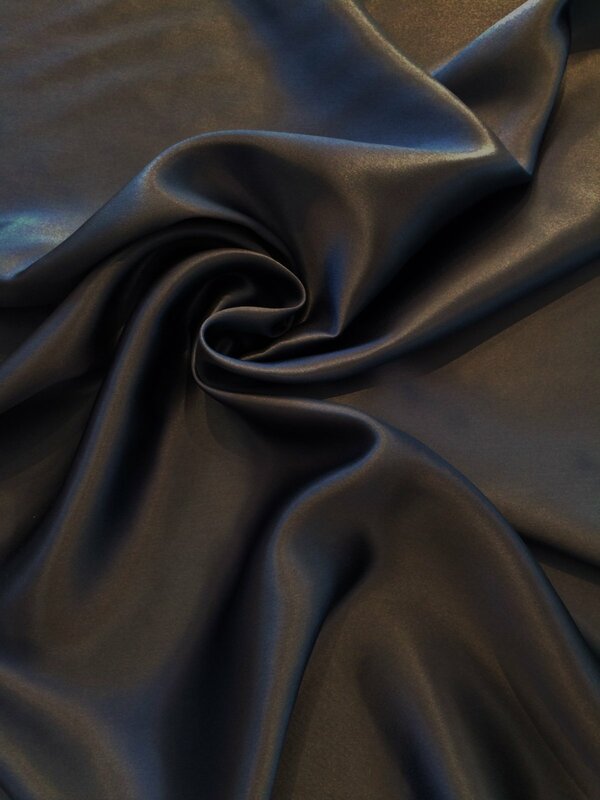 The front of the fabric has a satin finish—lustrous and reflective—whereas the back has a dull finish. 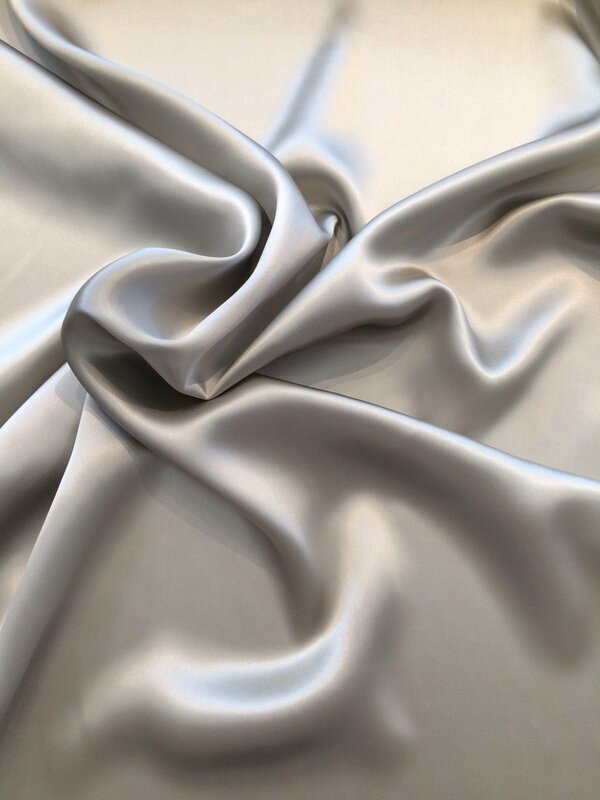 It can be made of silk or a synthetic lookalike such as polyester. 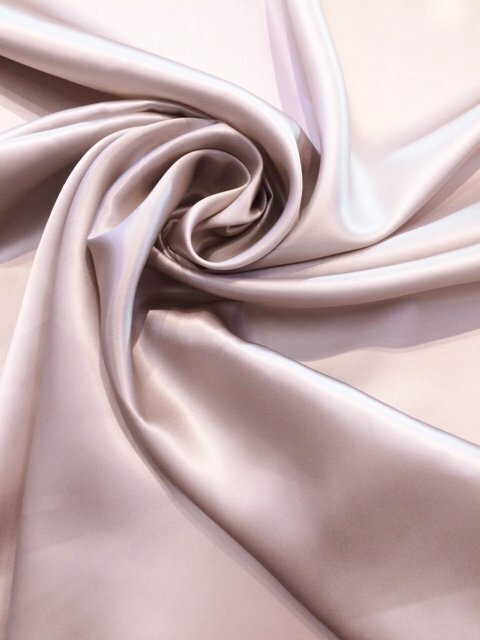 Silk charmeuse is more expensive and delicate but is softer and a better insulator. 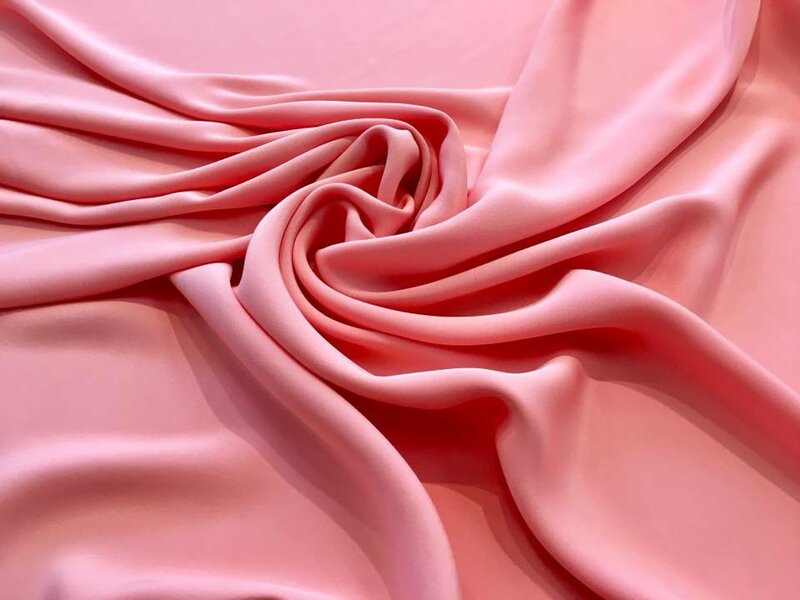 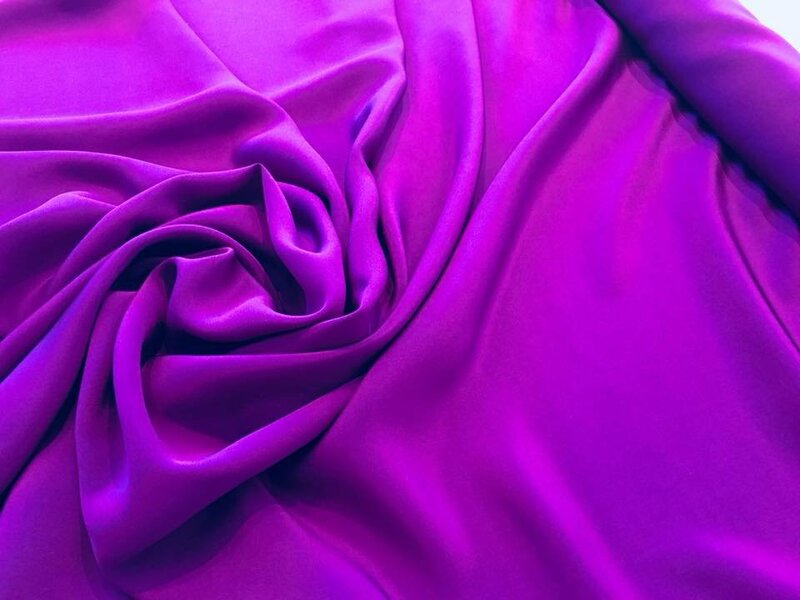 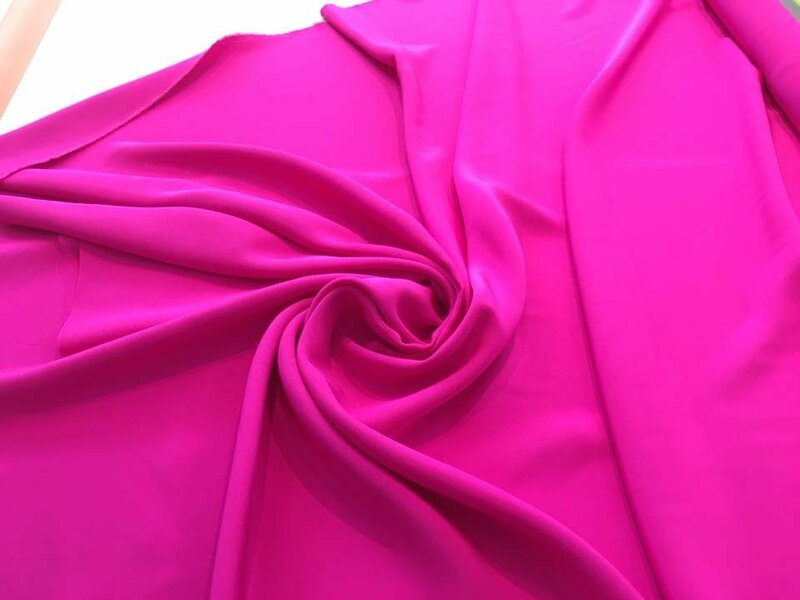 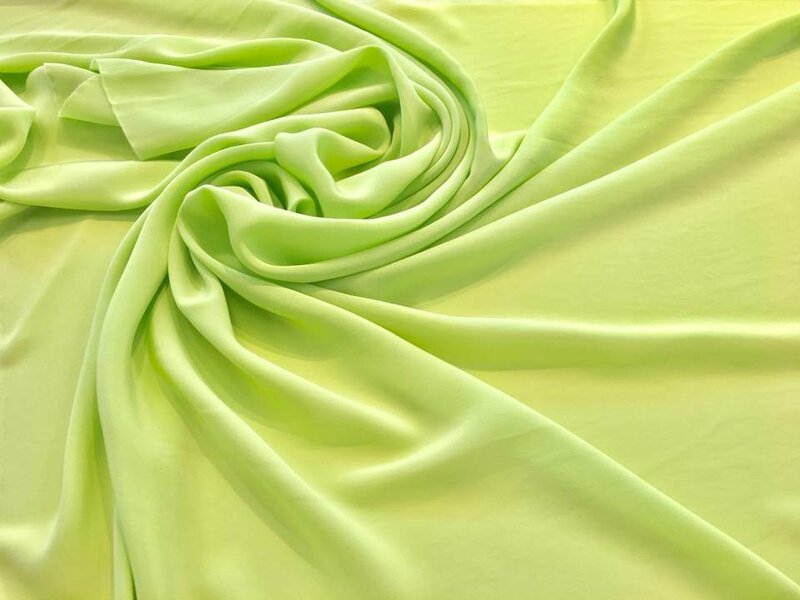 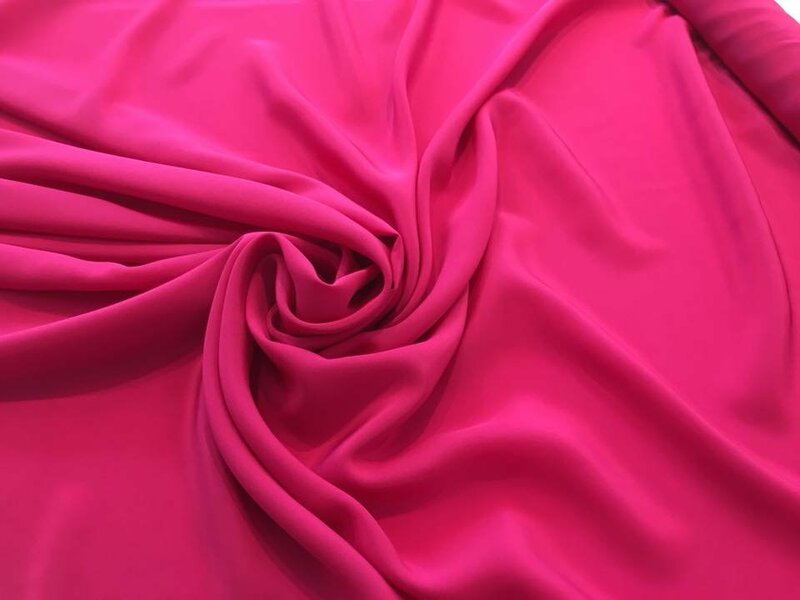 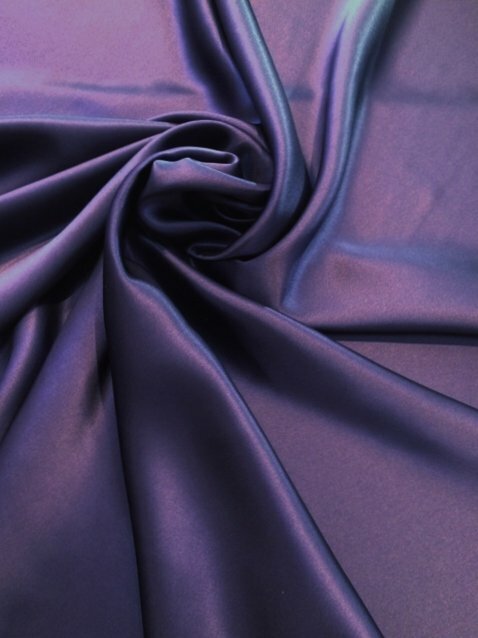 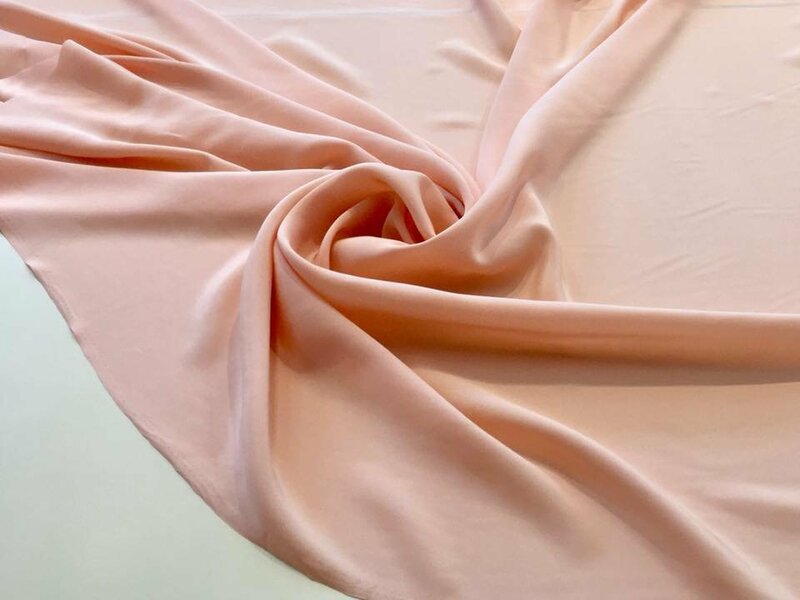 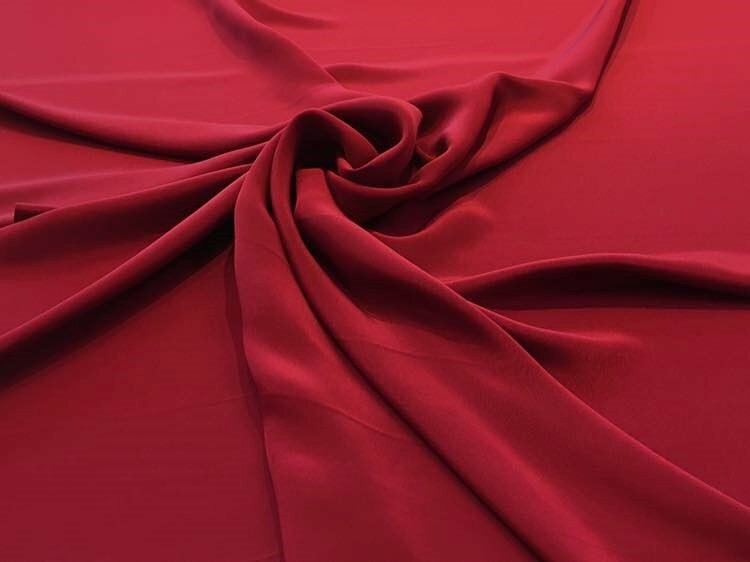 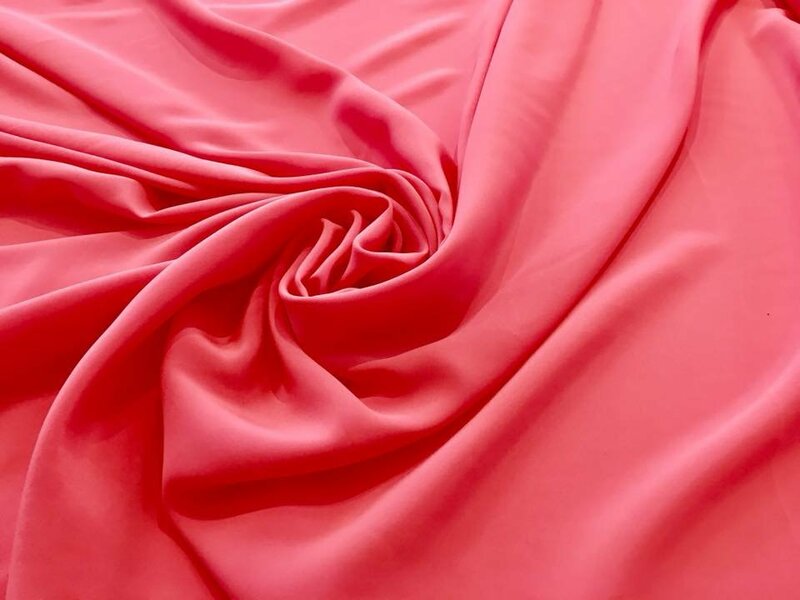 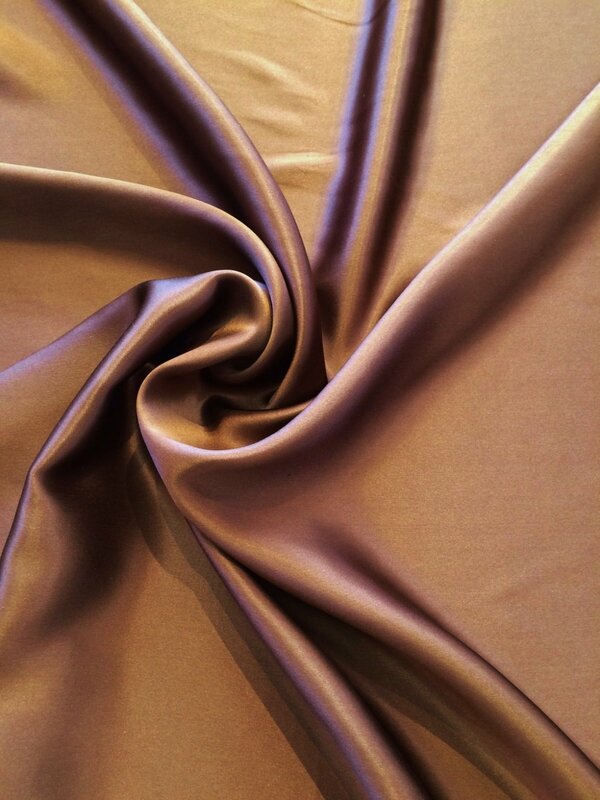 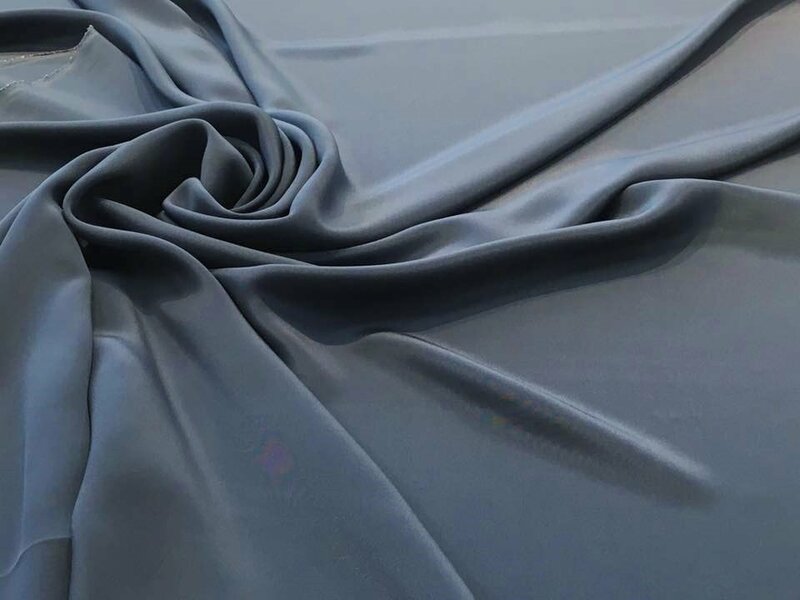 Polyester charmeuse is cheaper and can often withstand machine washing, but it does not breathe as well as silk. 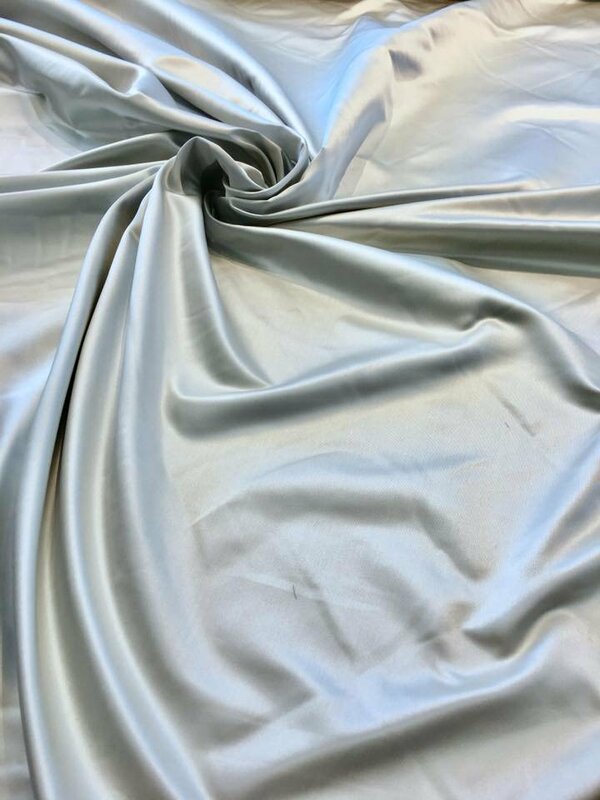 Charmeuse differs from plain satin in that charmeuse is softer and lighter in weight. 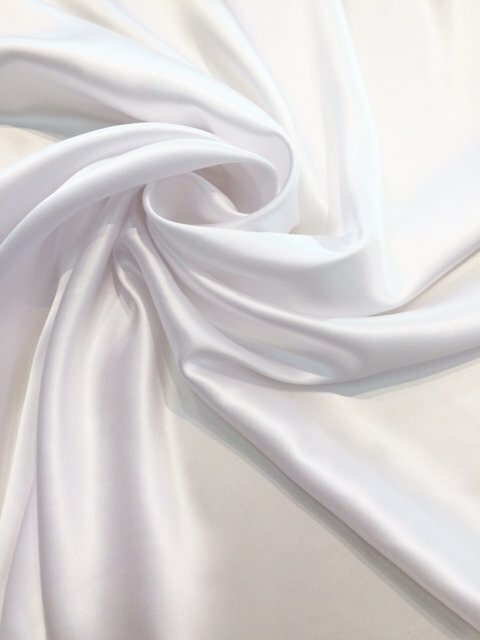 The luster and delicate hand make charmeuse suited to lingerie, flowing evening gowns, and drapey blouses. 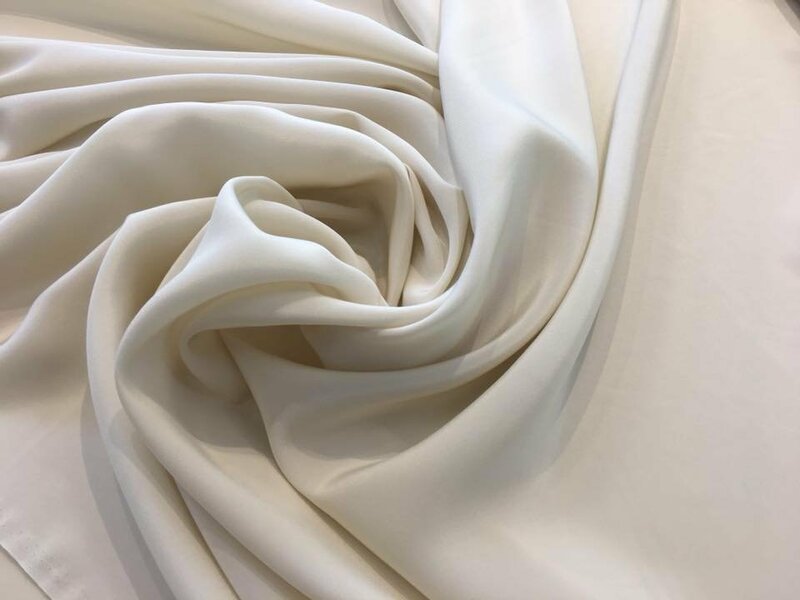 Bridal gowns sometime use charmeuse; however, the fabric does not hold a shape well, so it is not used for full, flared skirts; the charmeuse tends to cling and hang against the body. 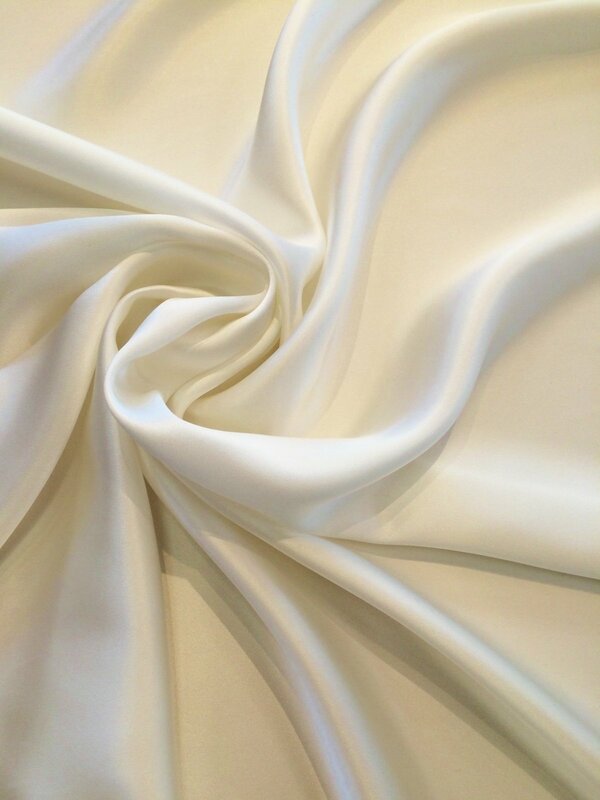 It is best suited to a more fluid, slinky bias cut, and is too fragile and flimsy for more tailored clothing.